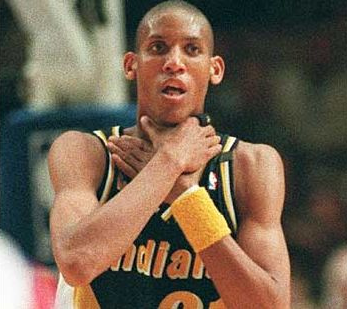 In Part III (“Mind-Set for Success”) of Mind Gym, there’s a chapter called Breathe and Focus that discusses choking in the context of athletics. I’ve always found choking to be an interesting subject, and this chapter contains some practical advice to recognize the symptoms and take action to recover. The annals of sports are full of unfortunate stories of athletes who have had the misfortune to choke under pressure. Syed shares his own experience, a humiliating performance at the Sydney Olympic games, then tells the story of Greg Norman‘s epic collapse at the 1996 Masters tournament. Why are experts sometimes reduced to performing no better than an amateur? I’ve seen several books dedicated to the subject of choking, but I likely won’t read them because Syed describes the causes of the phenomenon in sufficient detail. Earlier, I mentioned the concepts of implicit memory and explicit memory. Each of these is executed in a different brain system, in literally a different part of the brain. Syed describes that, “This migration from the explicit to the implicit system of the brain has two crucial advantages. First, it enables the expert player to integrate the various parts of a complex skill into one fluent whole…something that would be impossible at a conscious level because there are too many interconnecting variables for the conscious mind to handle. And second, it frees up attention to focus on higher-level aspects of the skill such as tactics and strategy.” (p191) Personally, I’ve always been amazed at post-match interviews that have an athlete casually describe their exact thoughts and strategy during a crucial point, as I wonder how on Earth they had the time and awareness to be thinking rather than just executing. Well, mystery explained! Alright, we understand what choking is…but how do we avoid it, or respond to it effectively when it arises? Practically, both of these techniques should help you to get back into the peak area of the performance curve. The same physiology applies, whether we’re on the playing field or in the boardroom.